When the Oswald’s returned to the United States they had a daughter, June, born on February 16, 1962. The other daughter, Rachel, was born in the United States on October 20, 1963. At the time of the Oswald’s return they had one child. It was returned, based on the notation on the envelope, via the Secret Service in December of 1963. Perry acquired the information about the two rings from the official autopsy report. He never saw any autopsy photographs. While describing Oswald’s ruby colored ring, one of two that were returned to the casket, a photograph of Oswald’s Marine Corps ring is shown. The Marine Corps ring is still, I believe, in Marina’s possession. 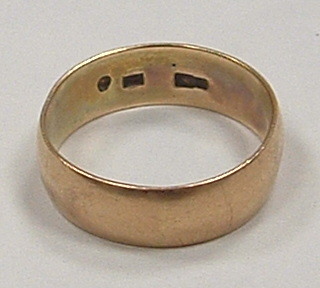 Gary Oldman wore Oswald's Marine ring during the filming of Oliver Stone’s JFK in April of 1991. 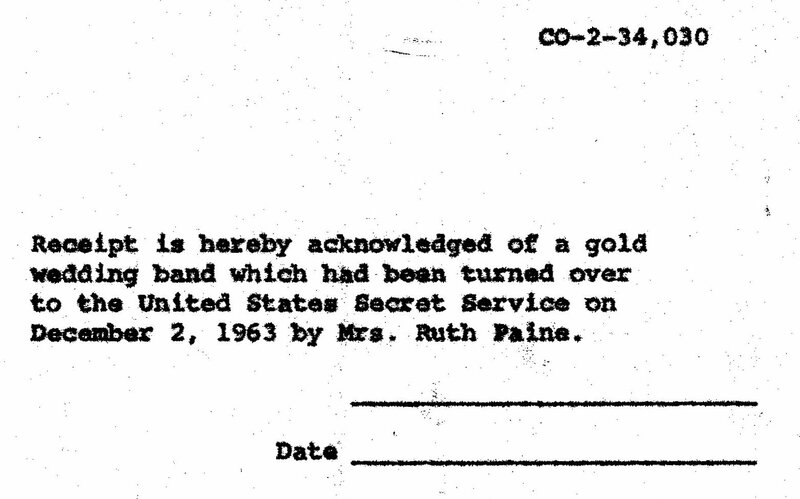 Perry affirms and the envelope shows Ruth Paine turned the ring over to the Secret Service on December 2, 1963.